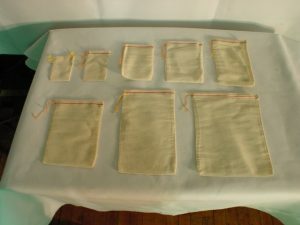 Pack and organize small parts, hardware and/or samples in these economical dependable 100% cotton drawstring bags. Custom printing is available for 5000+ pieces. Double drawstring only available in 2.75 x 4″ and 3.25 x 5″. 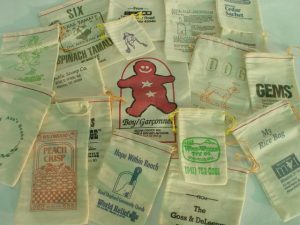 Prices per 1000 (M) Bags.